The skipjack Rosie Parks, a Chesapeake Bay icon that almost disintegrated under the care of the very museum entrusted to save her, is about to begin a second life. 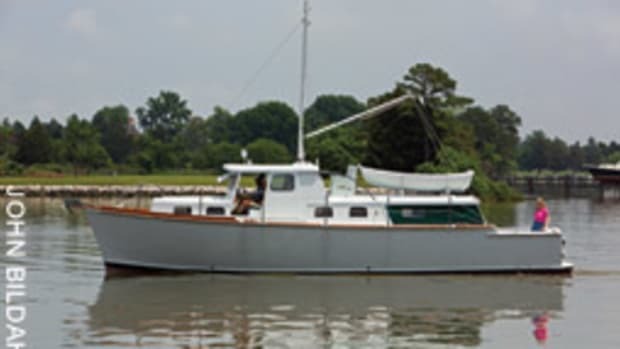 A $500,000 restoration project of the Chesapeake Bay Maritime Museum comes to a happy ending this spring when the 51-foot (LOD) Rosie sets sail after decades in a terminal, nautical coma. The three-year rebuild of the oyster-dredging skipjack in St. Michaels, Md., is the end of a prolonged embarrassment to the museum. Board members, forced to make a final decision on Rosie’s fate, voted in 2010 to revive the project to preserve the deteriorating vessel, rather than capitulate and break her up. Financial resources had been in a slump, but generous supporters responded to the urgency and came forward to save the workboat. She is now in her natural element — all 68 feet (LOA) of her with a long Douglas fir bowsprit and a beam of 17 feet. Fully rigged and resting contentedly in an outside museum slip, she faces out to the lovely Miles River from inside a cozy village harbor. Her Douglas fir mast, which came with her delivery in 1975, is refinished, and her yellow pine boom is freshly varnished. All running rigging is new, and the serviceable standing rigging has been retained. 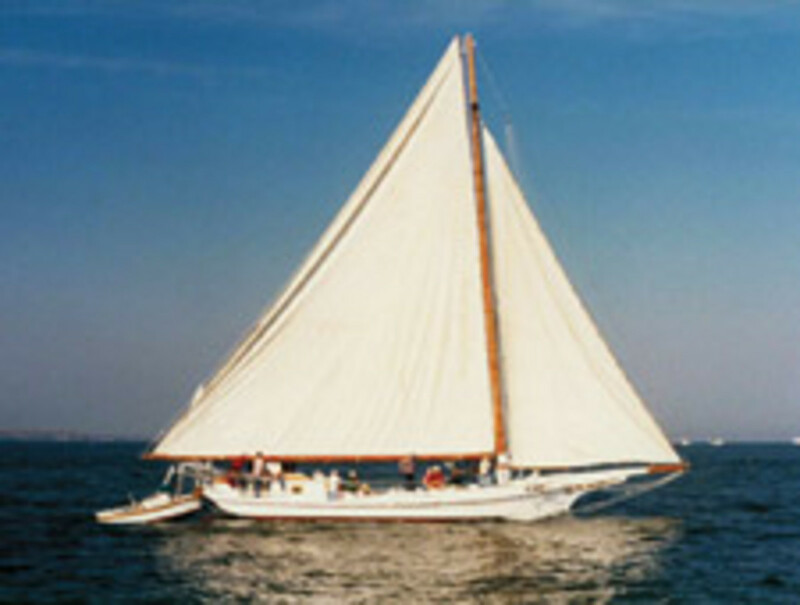 A full complement of Dacron sails from Force 10 Sails of Easton and Oxford, Md., will be in place by May. Chief museum curator Pete Lesher remembers a depressing day some five years ago when Rosie was hauled to prevent the ignominious fate of a historic museum vessel sinking at a museum dock. With water pressure no longer holding her rotted bottom planks in place, those boards immediately began falling off once stored on land. 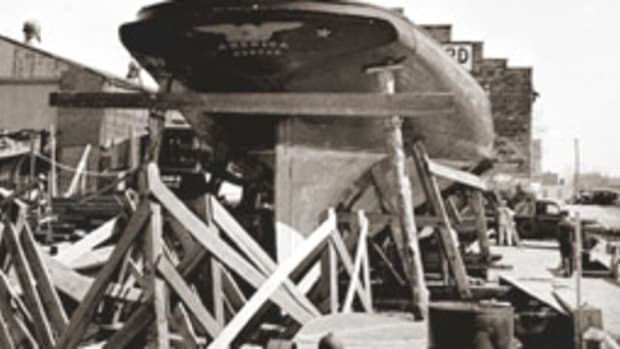 More than 10,600 board-feet of Douglas fir, local yellow loblolly pine and white oak were used for Rosie’s new keel, frames, deck, deck beams, bottom, topside planking and so on. About 85 percent of her is a rebuild, so she barely met requirements to qualify as a historic restoration. Most of her replacement wood is from local forests and was cut at local mills. A red lead preservative coated the bare wood, but no fiberglass cloth or resin was used for sealing purposes. Yard workers had no drawings or blueprints to guide them because Parks built his boats by “rack of eye” — that is, without plans. Rebuilding was accomplished by making patterns from the dismantled wood, then cutting and fitting the pieces back in place with exacting care. It was a difficult undertaking because Rosie has a graceful, beautiful sheer line rising toward the bow, leveling out amidships and rising again almost imperceptibly toward the stern. She sits low to the water to facilitate the manhandling of heavy oyster dredges. 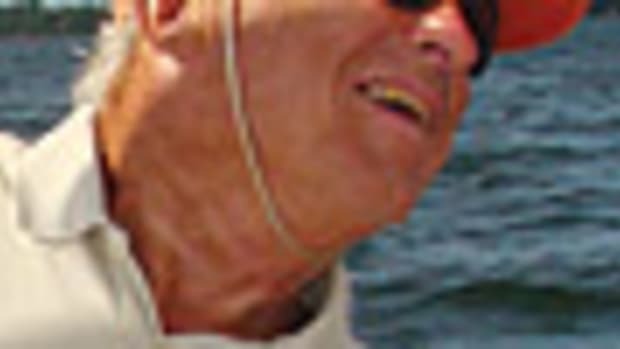 His boats, about 400 in total, were launched into Fishing Bay by sliding them sideways over logs with the aid of a tractor or pickup truck — even oxen in the early days. Parks employed three dozen or so men in this watermen’s hamlet, and if additional help was needed at a launch, the master builder would hand-crank a firetruck siren to summon volunteers from the tight-knit community. 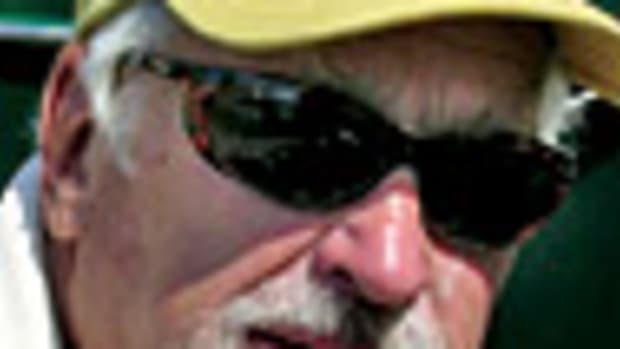 “Bronzie” was a large, barrel-chested man — amiable and good- natured but direct in his speech, with a quaint way of addressing people as “honey,” which is common in old Dorchester County parlance. He was the most prominent man in town in 1958 when he came to a violent end. 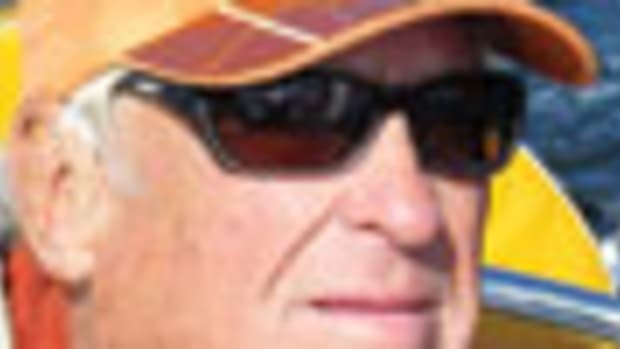 At the age of 57 and in his prime, he was murdered by a disgruntled client over the contract building of an 18-foot skipjack. In an argument about money, the Washington, D.C., suburbanite shot Parks twice in the head and once in the chest with a .38 caliber pistol. Cephas was Parks’ right-hand man from 1956 until 1974, when the aging captain, at 78, was forced to retire from oystering after a heart attack. When Parks delivered Rosie to the museum in 1975, he insisted that his loyal mate come along. “It was a sad day,” recalls Cephas. 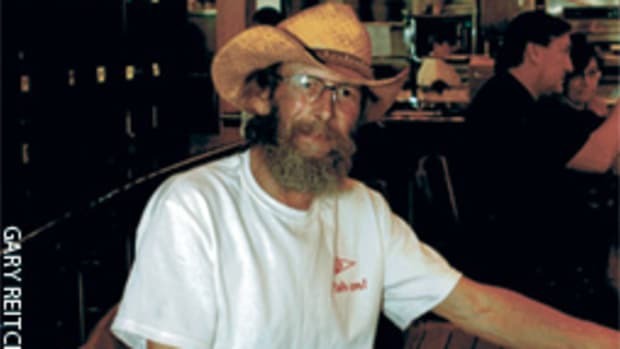 “When we left, he cried just like somebody shot him.” The old first mate often visited Rosie at the museum but stopped when her condition became too upsetting for him. Rosie was relaunched last November in a triumphant ceremony with nearly 100 members (four generations) of the Parks family in attendance. For most of the rebuild, master shipwright Marc Barto was project manager. Last summer, Mark Donohue assumed that position. Shipwrights, volunteers and apprentices are now working on Rosie’s 13.5-foot pushboat and will replace her old Cadillac engine with a new 150-hp diesel power plant. A 1,000-pound centerboard is being fashioned out of white oak, and the rebuilt doghouse with varnished entrance doors awaits a new interior, to be re-created by using old photographs as a guide. 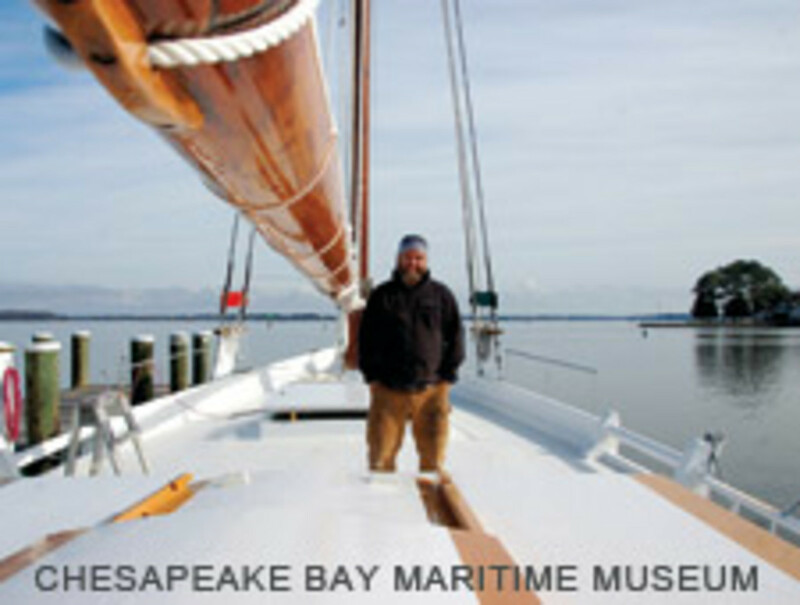 As an active member of the museum’s floating fleet of nine historic Chesapeake vessels, Rosie will not carry paying passengers on daily outings. 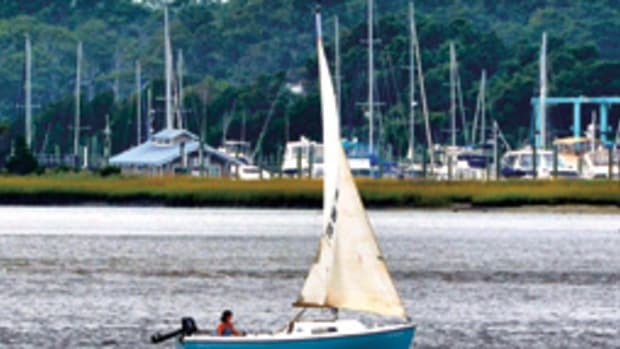 Her captains will hold a Coast Guard “six-pack” passenger license, with the boat used solely for “ambassador outreach tours,” private sails and occasional skipjack races. The museum decided to keep her as an unaltered, uninspected workboat, not modified for passenger safety requirements. It’s unlikely the museum will ever take on another skipjack rebuilding project, since Rosie represents the best of the dwindling workboat fleet of aging oyster-dredgers still rigged for sail. A handful of mostly old “regulars” still show up for winter dredging, primarily in the Choptank River and Tangier Sound on Maryland’s Lower Eastern Shore. Last winter turned out to be a good one for profitability and productivity. In my informal head count of commercial, privately owned skipjacks dredging for oysters early this year, I found only seven — perhaps an all-time low. Among them was Wadie Murphy’s Rebecca T. Ruark, the oldest (1886), which had been retired for 15 years and used only to carry daytime passengers. The others were the Fannie L. Daugherty (1904), Hilda M. Willing (1905), Thomas Clyde (1911), Somerset (1949), City of Crisfield (1949), and H.M. Krentz (1955). Going where none ever sicken or die.